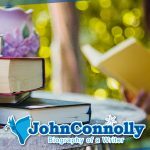 This blog site is dedicated to the works and publications of John Connolly, Ireland’s most successful thriller writers. He has contributed a lot to the fiction world. We believe that his works are completely unique. He does not write about “famine, religion, sexual repression” and terrorism, but he dwells on stories about murder, suspense, and mysteries that expands greater understanding and appreciation in the blurred line between reality and fantasy. His works are a huge accomplishment of pop culture, bringing detective fiction into the modern mainstream world, with a flavor of supernatural and the unknown. Apart from that, Connolly experiments in some of his works, combining different genres like fairy tale elements, religious histories, and Greek mythology. 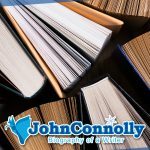 Apart from his ever popular and successful Charlie Parker and Samuel Johnson series, he has also written short stories, chronicles, other novels, and collections. Some of his works are also adapted to films and movies. With all his accomplishments, he earned various awards and recognitions. Truly it is, Connolly is a brilliant mind in this world whose works deserved to be preserved. 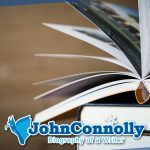 Explore this site for more information about Connolly, his works and the inspiration behind them.